Successfully Added 1080p NVR Kit - 8 Camera, 1/4-Inch CMOS, App Support, 25m Night Vision, P2P Support, IP66 Waterproof, SATA (White) to your Shopping Cart. Fully protect your property with this 8-channel NVR kit. 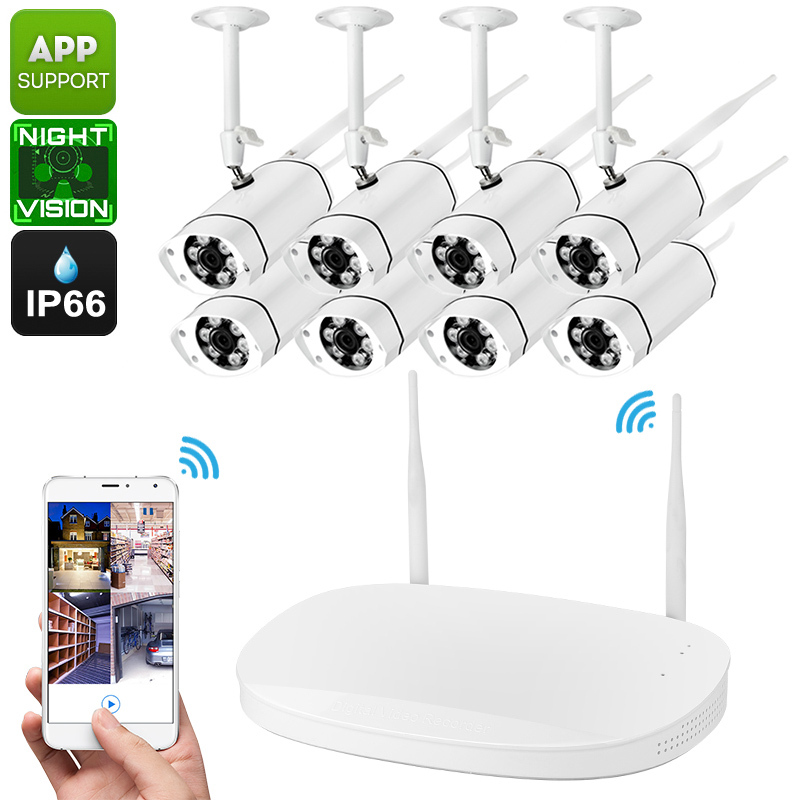 Coming with 8 HD security cameras, this NVR kit treats you to crisp 960p security footage from any angle of your home or office. Each of the cameras features an IP66 waterproof rating. This means that you’ll be able to use them both indoors as well as outdoors without needing to worry about their wellbeing. Thanks to their 1/4-Inch CMOS sensors, each camera sets forth detailed and sharp footage. From now on not a single intruder will be able to approach your property without being seen by your IP cameras. By supporting up to 4TB of storage, this NVR kit holds more than enough space for you to keep all your recordings. This makes it easy to analyze captured films later on your PC or laptop. Each of your 8 IP cameras features a 70-degree viewing angle. They furthermore come with 6 IR lights which treat you to a 25m night vision range. Thanks to this, your home or office will be fully protected at both day and night. With its auto white balance, you’ll be treated to crisp images no matter the environment. WiFi and App support, allow you to access real-time view from afar. Thanks to this, you’ll always be up to date about the security status of your property even when you’re not physically around.